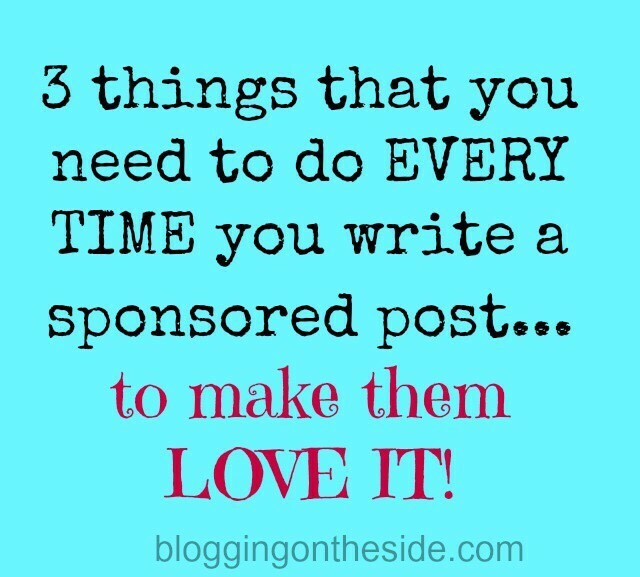 3 things to remember when writing sponsored posts. 1- Make it a story! It does not have to be a ‘straight-up’ review. Make it personal, fun and interesting! Share a tip or a recipe or a craft… Make your readers WANT to read it! 2- Have a catchy title – would you rather read “Review of ____” or “The best & easiest dinner recipe you are going to read all month!” I never write “review of___” in my titles. 3- Sell it, sell it, sell it! Sell their product. “So, since I am redecorating and sharing these kid-room ideas, I had to throw in that I LOVE our new comforter by Becky’s Beds! Oh my! They seriously made the room (look at the happy faces on my kids when they got to see it! )” You want them to come back & ask you for more, right? Great tips! I always try to make my reviews not sound “reviewy” LOL but I do need to work on creating more catchy titles.